Recent data breaches have affected over 145 million people, potentially exposing their personal information to identity thieves. 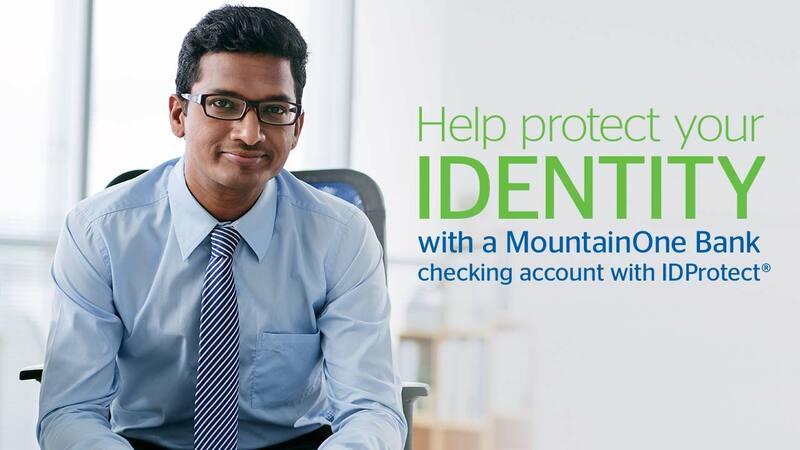 You can protect yourself – and your identity – from future data breaches with a VISTA Premier Checking1 or Pinnacle Value Checking2 account from MountainOne Bank. VISTA Premier Checking and Pinnacle Value Checking come with many valuable features including 5IDProtect® which helps protect you and your family’s identities. VISTA Premier Checking – our top account for customers who maintain higher balances and are rewarded with unlimited ATM rebates3 and top Money Market rates. Pinnacle Value Checking – the perfect account for customers looking for ATM rebates4 and all of the online and mobile services that make it easy to bank with us from anywhere. Open a MountainOne VISTA Premier Checking or Pinnacle Value Checking account today. 1$50 opening deposit required to open VISTA Premier Checking. $50 opening deposit required to open VISTA Personal Money Market. Both accounts required. Maintain a $2,500 minimum average daily combined balance in the VISTA Premier Checking and VISTA Personal Money Market accounts to avoid a $10 monthly maintenance fee. Fees could reduce the earnings on the account. Personal accounts only. 2$25 opening deposit required to open Pinnacle Value Checking. $4.95 monthly maintenance fee. 3We will not charge you to use other bank ATMs. VISTA Premier Checking comes with unlimited surcharge rebates. Fee (surcharge) rebate applied at end of the month. 4We will not charge you to use other bank ATMs. Pinnacle Value Checking comes with surcharge rebates up to $20/month. 5IDProtect® service is a personal identity theft protection service available to personal checking account owner(s), their joint account owners and their eligible family members. The service is available to non-publicly traded businesses and their business owner(s) listed on the account and their eligible family members (service not available to employees or authorized signers who are not owners). Service is not available to a “signer” on the account who is not an account owner. Service is not available to clubs, organizations and/or churches and their members, schools and their employees/students. For revocable grantor trusts, the service is available only when a grantor is serving as a trustee and covers the grantor trustee(s) and their eligible family members. For all other ﬁduciary accounts, the service covers the beneﬁciary, who must be the primary member, and their eligible family members (Fiduciary is not covered). Family includes: Spouse, persons qualifying as domestic partner, and children under 25 years of age and parent(s) of the account holder who are residents of the same household. 6Special Program Notes: The descriptions herein are summaries only and do not include all terms, conditions and exclusions of the Benefits described. Please refer to the actual Guide to Benefit and/or insurance documents for complete details of coverage and exclusions. Insurance coverage is provided through the company named in the Guide to Benefit or on the certificate of insurance. Insurance products are not insured by FDIC or any Federal Government Agency; not a deposit of or guaranteed by the bank or any bank affiliate. 7Credit file monitoring from Equifax and TransUnion will take several days to begin following activation.